There's nothing better than discovering a designer who has a strong, unique voice and Erica Bello definitely does. 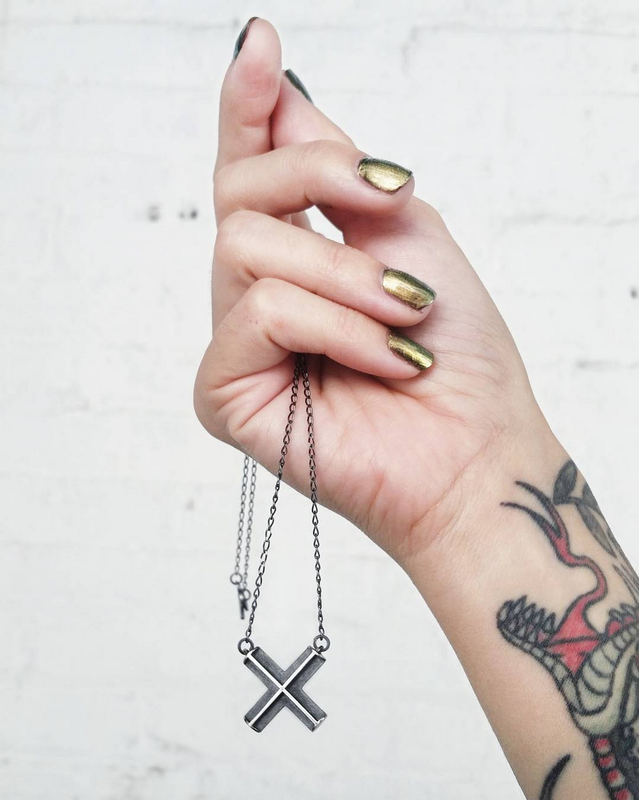 She creates bold jewelry with 3-D elements. Each piece feels like a miniature sculpture and I want to wear them all - think of the rad stacks and layers that can be created with these! 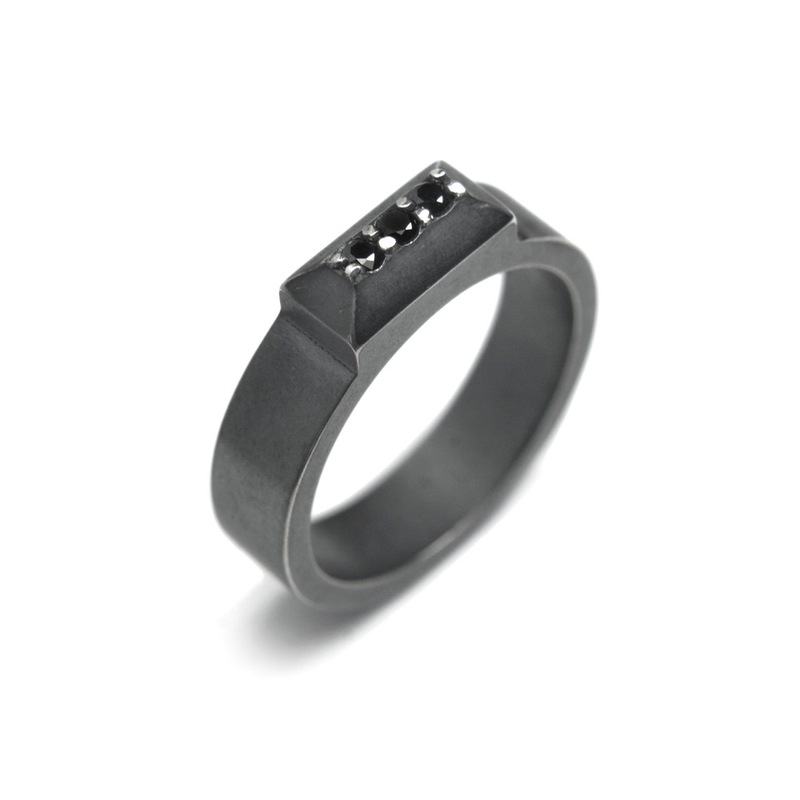 I also love her use of oxidized silver, especially when paired with black diamonds. Get to know more about Erica as well as her process and inspiration below! I have been working with metal since I was a teenager. Our high school offered jewelry courses and after a few classes I was hooked, spending every free period I could working in the studio. Following my graduation I took a job as a bench jeweler, and although I found that repairing fine jewelry came as second nature to me I wanted to get away from the commercial jewelry industry and create something of my own. In 2011 I received my BFA in jewelry design/metalsmithing from the School of American Crafts at RIT and went on to pursuer a career in jewelry as an independent studio artist. Most of my work starts with a sketch. My drawing process is very quick and minimal focusing mainly on form. Some ideas can remain sketches for months before they are refined using Rhino, a CADD program which allows me to experiment with scale and composition. Once a rendering is complete it can be used as a template to fabricate three-dimensional forms or printed as partially finished pieces. Hand finishing goes into every piece of jewelry to achieve the oxidized surface that I use for most of my work. Architecture has had a huge influence on me. Since moving to Baltimore in 2015 I have become passionate about exploring my environment. 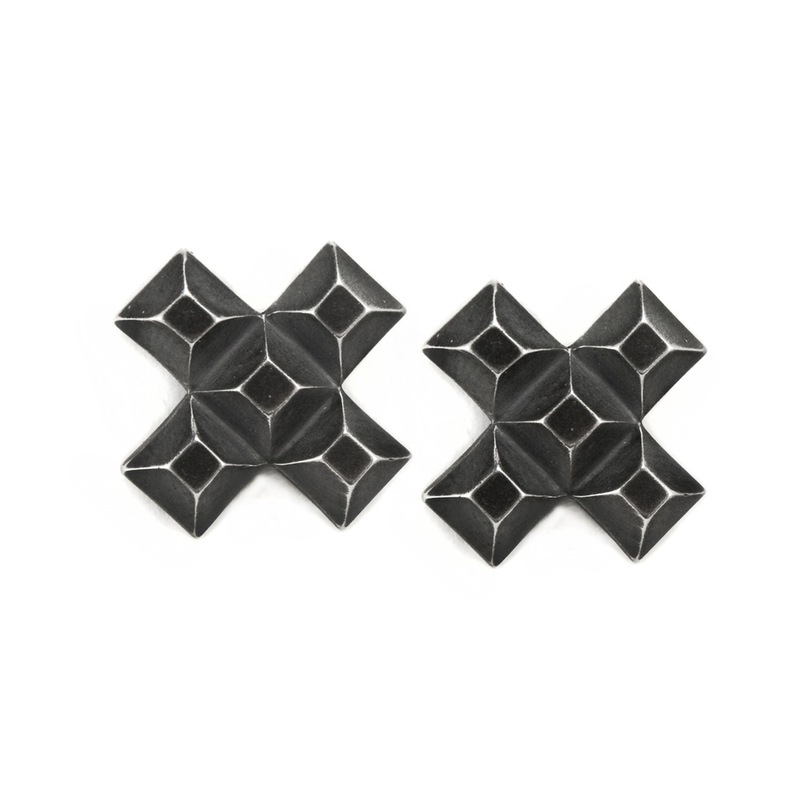 I am fascinated with the idea of reducing powerful architecture elements into small intimate jewelry pieces. I pair this concept with early 20th century jewelry silhouettes, mixing masculine and feminine forms together. Favorite designs: I always get attached to my one-of-a-kind pieces so those are usually my favorites. 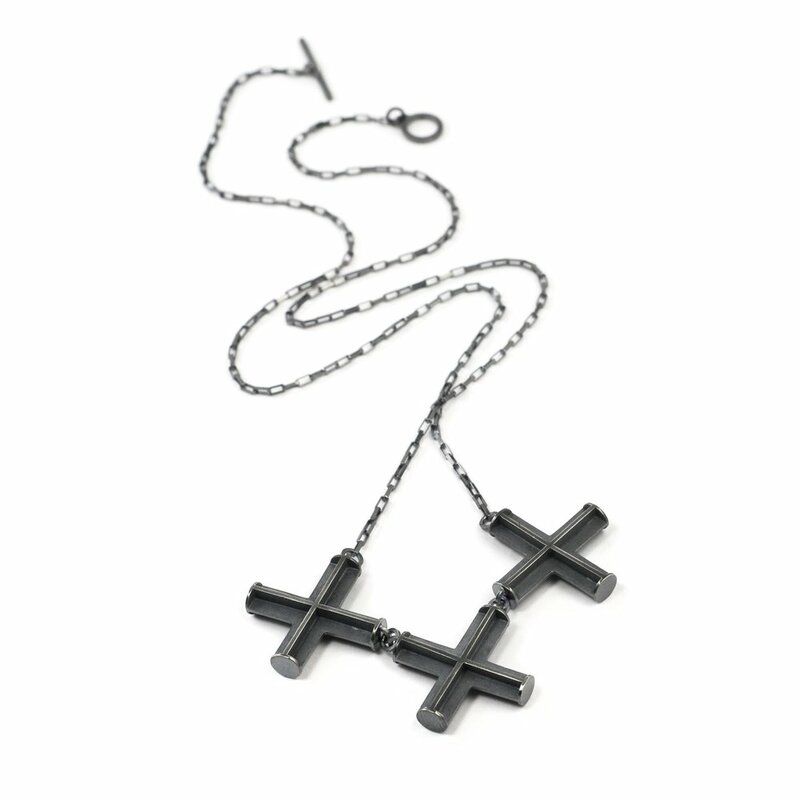 I love the Crossbeam X and Graduated Pop-Up necklace, both were hand fabricated so a lot of love went into each piece. Personal collection: The more recent addition to my personal collection is a cluster brooch made from re-purposed skateboard decks by Tara Locklear. Daily jewels: Most of my daily jewelry is pretty low key. The piece I wear the most is a vintage silver band with a bit of hand engraving. Favorite artists: Eve Hesse, Robert Morris, Mark Rothko, and Walton Ford. Minimalism clearly had a huge impact on my work, but I also admire artists like Walton Ford who's detail and craftsmanship is something to be admired. 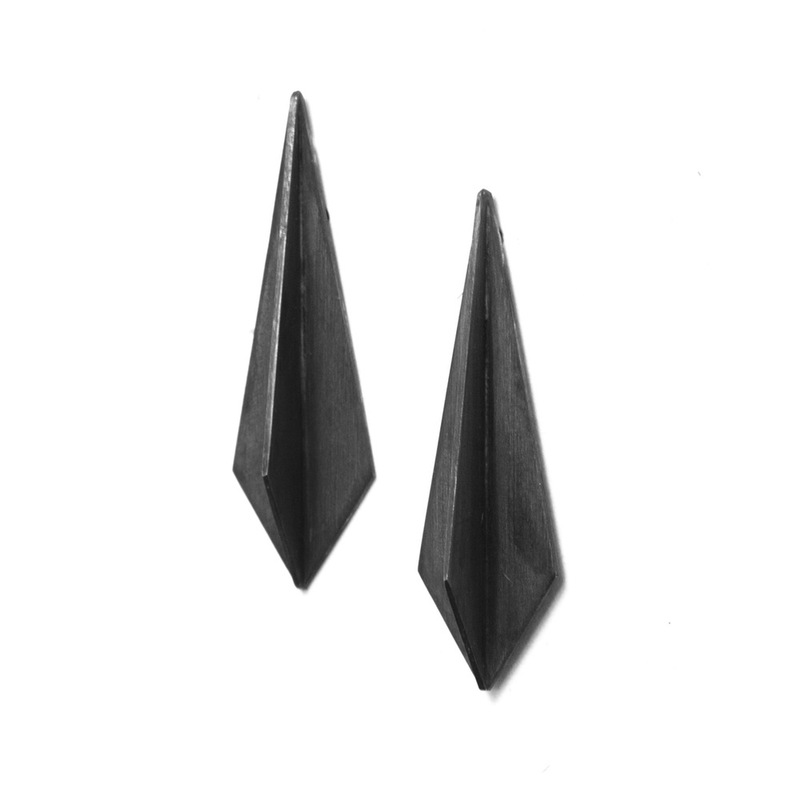 Favorite jewelry designers: Otto Kunzli, Mallory Weston and Göran Kling. I'm also a huge fan of the contemporary jewelry coming out of Melbourne right now and I love the work of Suzi Zutic and Emma Jane Donald. Other than jewelry: So much of my time is devoted to my studio that when I find a free moment I love getting outside. With the addition of our three year old husky, my boyfriend and I often spend our free time exploring areas around Baltimore. Even when we travel for shows we’re sure to work in some time for an adventure. Currently listening to: Music-wise, I’ve been into to Sleater-Kinney and Mischief Brew lately, who came out with new albums last year, but in the studio I’m usually listening to podcasts/audio books.